Carbon recycling startup Calera has been awfully quiet for months and hasn’t responded to my requests for info or interviews: I had reached out to the company because I have heard rumors that it has been struggling. But here’s the latest news: Calera, which is backed by Khosla Ventures and Peabody Energy, has recently raised another $10 million round, according to a filing. This is Calera’s latest financing since it raised at least $65 million from investors. The four-year-old company also had been offered $19 million in stimulus funds for a pilot project last year. I’m not sure if the company went forward with that or not, because they needed to reach certain milestones and raise matching funds, and I haven’t been able to confirm anything with the company for months. 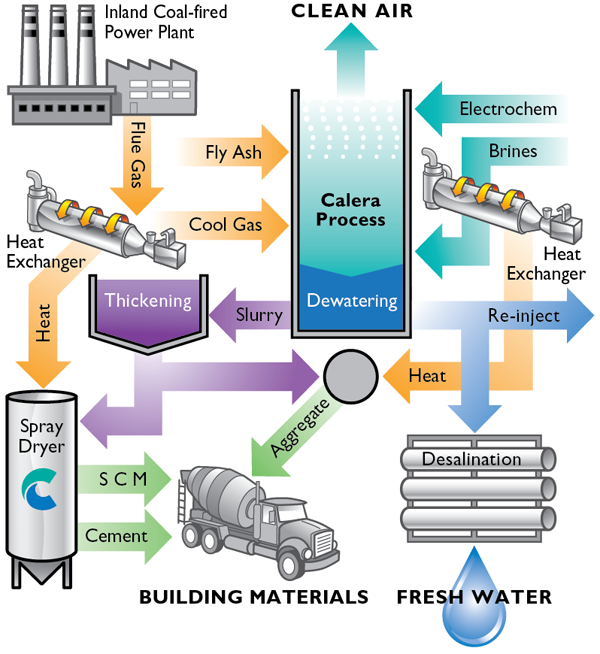 Calera has developed technology to capture carbon dioxide emissions from power plants, refineries and other industrial facilities, and, with the addition of wastewater or brine, use it to produce cement and other building materials. The company had been working on a demonstration project at a natural gas–fueled power plant near Moss Landing, Calif., and a second demo was in the works at a TRUenergy power plant in Australia’s Latrobe Valley. However, I’m not sure how far along or in the works those projects are. The latest official news from Calera was that it was planning to do some development work in China. Brent Constantz, the founder and former CEO of Calera, stepped down from the board of directors in February and left the CEO position last year. Constantz is now working on a deep water desalination project in Monterey, Calif. I have heard that when it is used as filler for cement, Calera’s technology produces cement that costs three times the cost of standard cement, so it’s been struggling to make the economics work. Perhaps the $10 million in equity will help Calera crack its market goals.